Lots of the activities we do require us to be on our feet and be able to spring into action, even walking. It doesn’t always feel like you are “springing” because you may have pain in your feet, ankles, or knees. You may also feel like you’re just pounding on the ground as you walk. But “springing” is likely what you are still doing if your ankle anatomy is largely intact. The springing action your ankle is built for is what you want to promote more of if you want to walk much easier without pain. One of the biggest springing forces in your ankle comes from your large ankle tendon called the Achilles tendon. It is poised to spring you forward with little input from your muscles during your normal everyday walking motion. The problem that leads to painful walking and losing that spring in your step is when you repeatedly strain or overexert the tendon while walking. This can lead to a condition called Achilles tendonitis or inflammation of the Achilles tendon. Achilles tendonitis is a common condition among runners and other athletes; however, any person who just shifts their daily habits a little bit may experience tendonitis of the Achilles tendon. Often this occurs if the body is not ready for a new type of movement because of joints being jammed in the ankle, foot or knee or because of a lack of flexibility in the leg muscles. The most common cause of injury to the Achilles tendon is simply due to repeated or overexerted use that leads to strain of the tendon. Strain means the tendon gets small tears which can lead to a buildup of scar tissue which threatens to reduce your flexibility for good. The best treatment options include keeping your body flexible as well as reintroducing good ankle, knee, or hip motion into your joints through chiropractic adjustments. The work you can do to improve it: To improve flexibility you need to dedicate a couple of minutes a day for a few days to stretch your ankles, hips and calves. You can stretch your calves by bending your ankle and using a large exercise band to pull your forefoot and toes up so they’re pointing towards your face. The instant improvement: Improving your ankle joint movement can be instantaneous when you get an adjustment from your Chiropractor. You can feel and see the benefits right away. If you are injured: Make sure you get plenty of rest throughout the healing process. You’ll need to rest the injured area by refraining from exercise that puts strain on the tendon. This rest period usually lasts for a few weeks but it could be longer based on the severity of the injury. If you have injured a tendon or muscle and the pain is severe, you may also apply ice to the tendon or area that hurts for approximately 20 minutes at a time. This is useful especially after any exercise or feelings of pain. To manage pain, it’s important to make sure you know what your diagnosis is, for example, that it is in fact Achilles tendonitis rather than something else like a small fracture. Once you have a diagnosis, the best treatment methods can be given as well as prevention steps for avoiding future episodes of pain or injury. It is possible to prevent Achilles Tendonitis and make walking easy- the number one method is to stretch and get motion into your ankles and legs prior to any ‘out of the norm’ day where you know you’ll be taxing your ankles and feet more. Chiropractic adjustments give an instantaneous burst of motion that just feels right. Arch supports and heel cups can also help keep your foot in proper alignment thus alleviating strain on the tendon. Depending on the severity, problems such as Achilles Tendonitis can take just a few weeks or several months to heal fully. It’s important to seek proper care otherwise you could end up with chronic ankle pain or stiffness. If you’re on the mend from an Achilles injury or concerned about falling victim to such an injury, contact Dr. Nicole Muschett for a complimentary Foot, Ankle, and Knee Pain Consultation today. Your favorite local pharmacy and health store is packed with several brands of popular nutritional supplements. Jump online and you’ll find online catalogues bursting at their website borders with hundreds of brands. Your goal is probably simple. You either want to lose weight in a healthy manner or you want to improve your health and energy levels and ultimately feel happy. On occasion, the right nutritional medicine can help the body feel tuned up and primed for optimal function. This is also the case with the help of hands-on motion therapy through chiropractic treatments. Your muscles and joints can move much more fluidly and with less discomfort so that you feel drawn to getting up and getting into motion. You can feel primed and ready-to-go in your body even if your head isn’t in the game yet. The right type of energy boost through proper nutrition can bring a sense of internal calm along with renewed energy too. Tip #1: “Natural” isn’t always natural. Just because that bottle says, “All Nature,” doesn’t make it true or safe. If you’re coping with a chronic health condition, all natural might seem like the safe alternative for a good nutritional supplement, but this isn’t always the case. 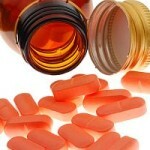 Always consult your doctor before taking a supplement to rule out possible side effects or severe reactions. Tip #2: Check for a “USP Verified” seal of approval. Products bearing the USP Verified seal of approval have met the strict requirements for quality per the U.S. Pharmacopeia group. The requirements focus on a combination of overall quality and ingredient potency plus purity. Products holding this seal are generally considered to be of good quality and from reputable manufacturers. Tip #3: Always read the product label in its entirety. Before buying any dietary or nutritional supplement, always read the product label in its entirety. The truth is most companies refuse to guarantee the quality and effectiveness of their product. Reading the label tell you exactly what you’re buying, and the old adage, “You get what you pay for,” applies. Cheap supplements are made from inferior ingredients. They are often less absorbed by the body and therefore less beneficial. Yet, inferior supplements sell for the same or greater price when compared to high quality versions. Tip #4: Do your homework- supplements aren’t well regulated. The FDA doesn’t regulate dietary supplements with an iron fist. In fact, supplement manufacturers don’t need FDA approval to put their product on the market. It’s your job to do your homework before buying a supplement. Ensure the manufacturer sports a good reputation and stands behind their product. Check out consumer reviews as well. Research the ingredients from the label and confirm their quality and bioavailability (i.e. how easy and fully they are absorbed by the body). Top #5: Consult a professional. Did you know that many chiropractors have specialized training and experience related to supplements and proper diet and nutrition? I regularly help people with their nutrition needs and make sure I recommend only quality products. Learn more by contacting Dr. Nicole Muschett, Chiropractor today!